I'm very pleased to be participating in this giveaway, because I have a special connection to autism: my 20-year-old son was diagnosed with this condition when he was two. Our family is fortunate enough to be living in an area where the attitudes about autism are generally enlightened, but as the occasional ignorant outburst by a public figure indicates, much work remains to be done. It's especially important to keep autism in the spotlight in these times of cost-cutting, where public programs assisting the disabled are always at risk. As my contribution to this blog hop, I'm giving away one copy of my first historical novel, The Traitor's Wife. My novel, set in fourteenth-century England, is not about autism, but it does feature a king, Edward II, who was out of step with his times in many ways. I hope that reading it will help you see this period through fresh eyes--and that reading the other blog posts on this tour will help you see autism through fresh eyes as well. The giveaway on this blog closes April 14. If you leave your e-mail address, you may want to substitute "at" for "@" and "dot" for "." to avoid getting spam. thanks for the support! i'm part of this hop as well. my mother is a special education highschool teacher and i love her students! 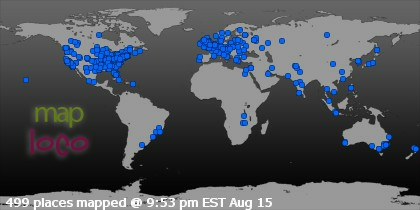 Thank you so much for participating in this awareness hop. My grandson is on the autism spectrum. I think it is great to have this type of event to highlight such a worthy cause. Thanks for the giveaway! I have had little experience with people with autism, but next year I'll have a freshman boy in my section in marching band with Asperger's Syndrome. It will be interesting to see how well he can adapt to marching band and how well the others in the section can adapt to him. Thanks for the chance. I'm enjoying reading The Stolen Crown at the moment! Thank you for the chance to win your book! 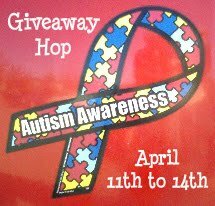 This giveaway hop is such a good way of raising awareness about autism! Count me in! Thanks for participating and the giveaway of your book. Thank-you for raising awareness about Autism, there is autism in my family. I would love a chance to win your novel, thank you, Susan. The book sounds really good, thanks for the giveaway. I'd like to enter too. Thanks! Thanks for supporting autism awareness. My brother has severe autism. Now that he is 55, he is learning to communicate better. I say of course it better to get help earlier but don't forget the others! My son is not Autistic but has a profound hearing loss: it's a challenge everyday. Thanks for the chance! And for spreading the word about autism. Thank you for participating in this hop! Great giveaway & an awesome way to spread awareness - I didn't realize how little I actually knew about autism. Thanks so much for participating in this wonderful cause. Please don't enter me - I already own your wonderful book! Just wanted to show my support. God bless all those children with autism as well as their parents. Here's to praying for a cause/cure soon. I'm running (part walking) in a 5K for autism in May - autism effects so many people. It needs more research. we need more research for autism!! Thanks for the giveaway and for participating in this blog! Historical fiction is a "new love" of mine and I particularly like the setting of your first book. Count me in! This is so awesome, thanks! THanks for participating in this hop and thank you for the giveaway. Thanks for hosting this amazing giveaway:)I'd love to read your book. Ty for participating. I'm also participating--Regency rather than Medieval though. Medieval is my second favorite genre with Regency, being first. I'm not into autism myself but I am very much into dyslexia which afflicts all three of my cousin's sons yet thanks to good remedial provision all three have coped with, the eldest having recently come down from Cambridge wih a First in Engingeering. As an author yourself you know how important reading is as did my late mother a former infants (elementary)teacher and headmistress who had to deal with autistic pupils as well. As it is I feel that both problems are not dealt with early enough and such a pity that on this side of the pond nursery school (kindergarten) isn't as good as it could be. But then it all comes down to that one word we've all learnt to dread as you've so rightly pointed out - money. My teacher's son has autism and I think she is very strong to face the difficulties. The hop is actually a great eye-opener to the rest of this small community. Thanks for the giveway! It's important to educate people about autism. I would love to enter this giveaway too. My nephew is autistic. Thanks for supporting the awareness hop. Thanks for the giveaway and spreading the awareness! Best wishes with the awareness campaign.